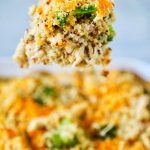 This Chicken Broccoli Casserole recipe is loaded with chicken, broccoli, hearty quinoa and sharp cheddar cheese. 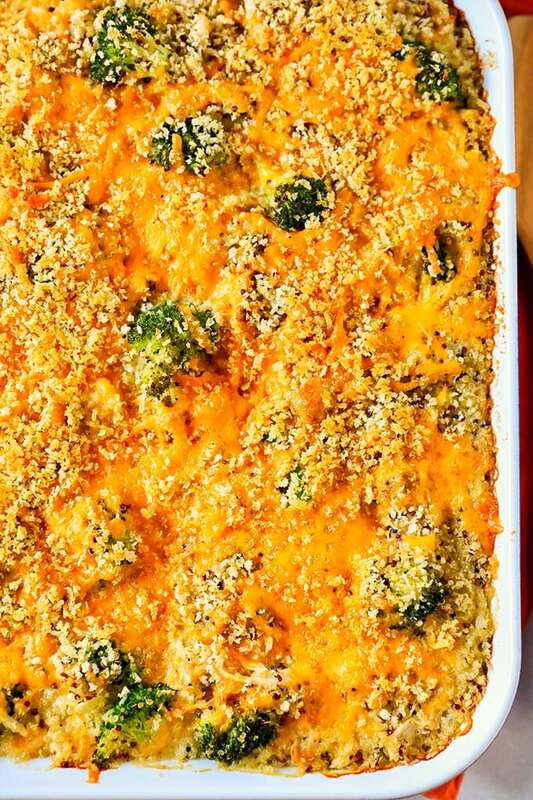 This modern casserole is pure comfort food and doesn’t use any canned cream soups. 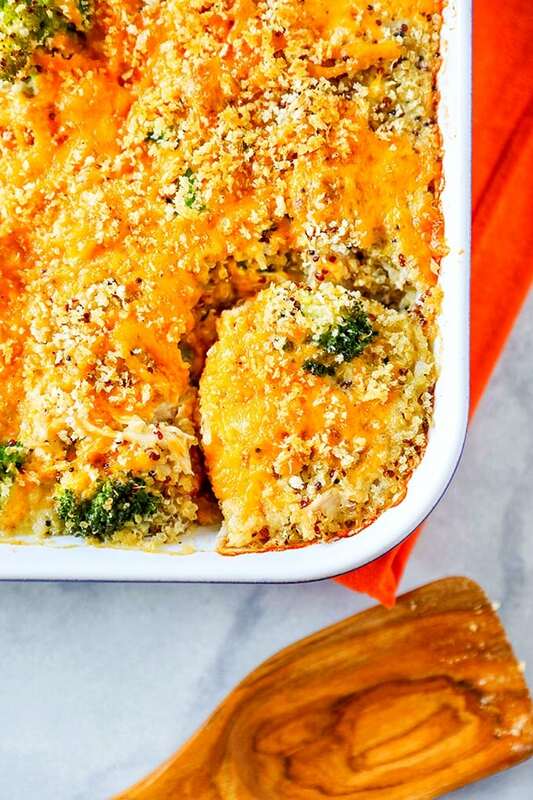 We are heading into the season of warm and cozy, and this chicken broccoli casserole is the perfect dinner for the whole family. 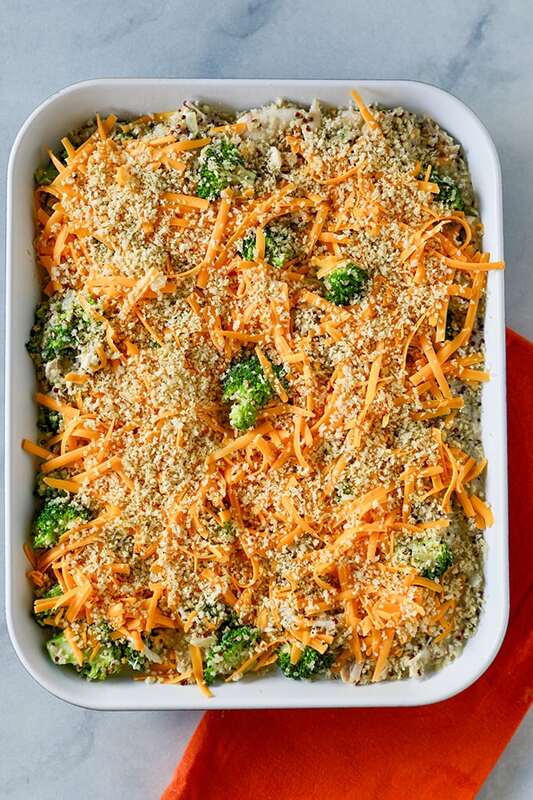 Hearty and flavorful, you can easily split it into two casseroles: one for now and one to freeze. If you plan on freezing, divide ingredients into two 8 inch baking dishes. Bake one and let the second dish cool completely, cover tightly with foil and freeze. Start by preparing the quinoa. I really like using the Instant Pot to prepare quinoa. 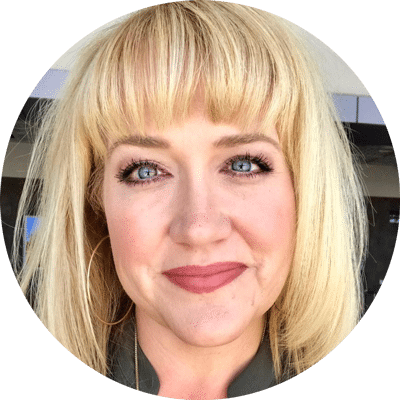 I included directions for both stove top preparation and Instant Pot preparation in the recipe. The key to a flavorful casserole is making sure each component is seasoned. I use low-sodium chicken broth to cook the quinoa. 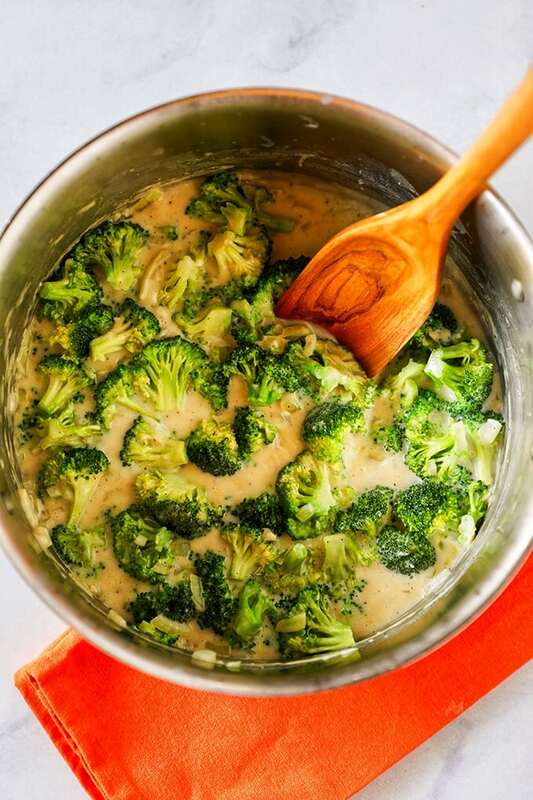 In a large stock pot, create a simple sauce with chicken broth, flour, and milk and simmer the broccoli in the sauce so it is partially cooked before going into the oven. 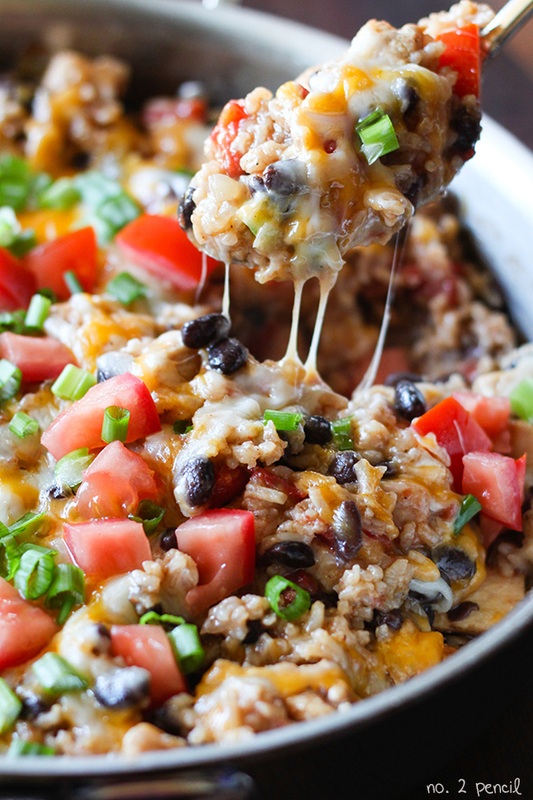 Combine the sauce, chicken, cooked quinoa and sharp cheddar cheese. Stir mixture and transfer to baking dish that has been sprayed with non stick cooking spray. Top with additional cheese and panko breadcrumbs. Bake until golden brown and bubbly. Start with 20 minutes and add time as needed. If some of the ingredients, like the chicken, was chilled before assembling casserole, you may need to add cooking time. Preheat oven to 400 degrees and spray 9x13 baking dish with non stick cooking spray. In a medium size pot, bring 2 1/2 cups of chicken broth to a boil. Add rainbow quinoa and stir, reduce heat and simmer for about 14 minutes, or until chicken broth is absorbed. Fluff quinoa with a fork and remove from heat. Alternatively, see notes below for cooking quinoa in the Instant Pot. In a 6 quart stock pot, heat butter over low heat and add onions and garlic to sauté. Once onions have started to soften, sprinkle in flour and cook stirring 1-2 minutes. Add milk and 2 cups of chicken broth to stock pot, bring to a boil and whisk 1 to 2 minutes more. Once mixture has thickened slightly, stir in broccoli, 1 1/4 teaspoon of salt and 1 teaspoon of freshly ground black pepper. Cover and simmer broccoli for about 3 minutes to partially cook broccoli before baking. 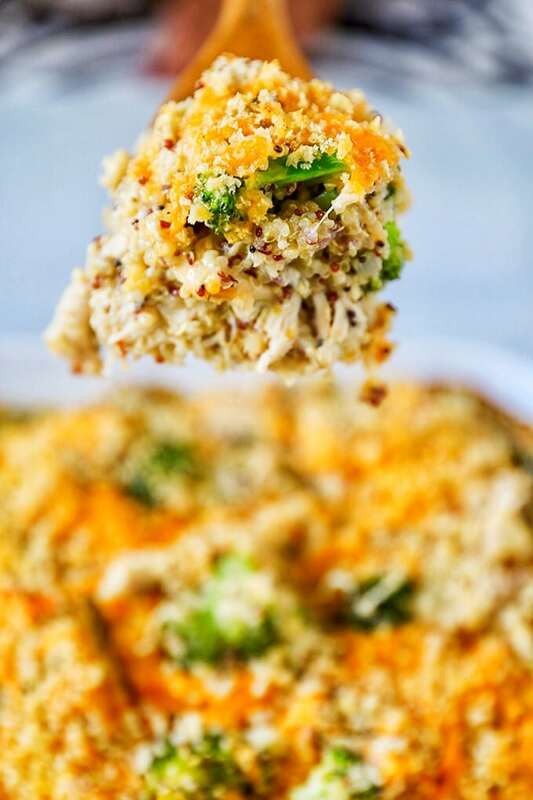 Stir in quinoa, shredded chicken and half of shredded cheese. Transfer to baking dish and top with remaining half of shredded cheese. In a small bowl, combine 1/2 tablespoon of olive oil, bread crumbs, 1/4 teaspoon of garlic powder, 1/4 teaspoon of kosher salt and 1/4 teaspoon of freshly ground black pepper. Sprinkle over top of casserole. Bake uncovered for about 20 minutes, or until casserole is hot and bubbly and the top is golden brown. 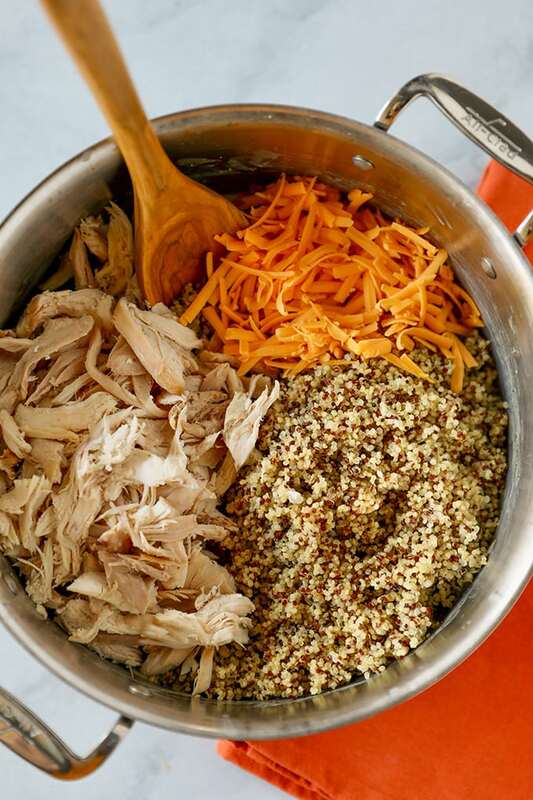 To prepare quinoa in the Instant Pot, reduce chicken broth to 2 cups. 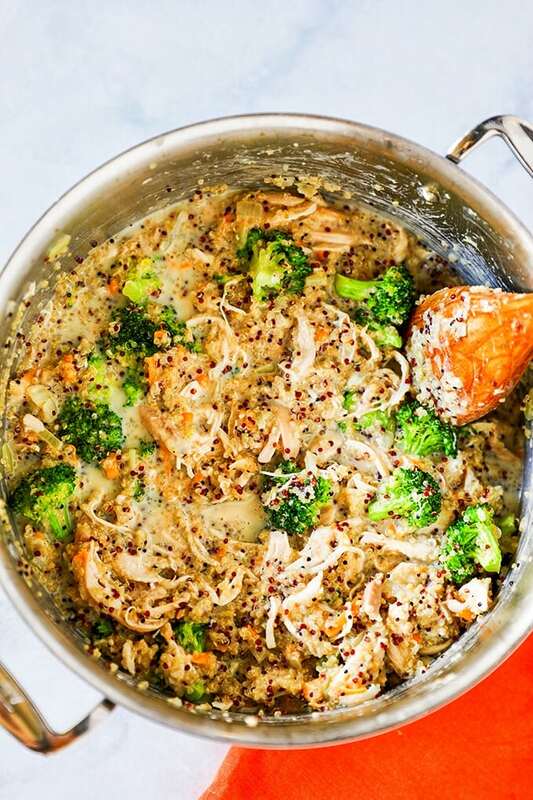 Add chicken broth and rainbow quinoa to Instant Pot. Set Instant Pot to manual mode on High Pressure for 1 minute, let Natural Pressure Release. There is nothing better than a warm hearty casserole bubbling in the stove! Please pin this recipe and share on Facebook. If you make this recipe, I would love for you to come back and rate the recipe and leave a comment!